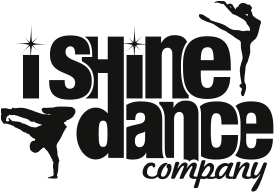 Welcome to iShine Dance Company! Please provide your information below and click Submit. DANCER ID TAG: All dancers will be issued an ISDC ID & need to be SCANNED IN each day when they arrive. Annual registration fee ($47.50) and any recital payments made are non-refundable. Leotards sold exclusively @ Jane's Dance Boutique in Stuart, Florida. Recital Fees payable by the deadline. Parent must complete additional recital registration form in order for student to participate.